Geo. 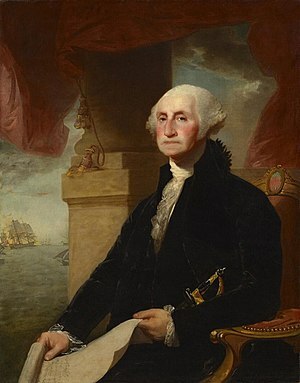 Washington: 1st President of the United States or 8th President of The United States of America? Or Both? “Just read your article on the Constitution and enjoyed it, but came across this one and thought you might like to read it, especially the 2nd to last paragraph of this article…. tell me why don’t we know about the 1st seven presidents of this country???? I suspect that the answer to your question may be that the first “president” (John Hanson?) was not president of the “United States“–he was president under the Articles of Confederation (A.D. 1781) and was therefore president of “The United States of America“. Later, in A.D. 1789, the people created a new “government” by means of The Constitution of the United States. That new government was the government of the “United States“–but not of “The United States of America”. The first president of the “United States” was George Washington–but it’s possible that Washington may also have been the eighth (?) president of The United States of America.